Vaccination to prevent human papillomavirus (HPV)-related infection leading to cancer, particularly cervical cancer, is a major public health breakthrough. There are currently two licensed HPV vaccines, both of which contain recombinant virus-like particles of HPV types 16 and 18 (which account for approximately 70 % of cervical cancer). One vaccine also protects against HPV types 6 and 11, which cause genital warts. The safety profile of both vaccines was assessed extensively in randomised controlled clinical trials conducted prior to licensure and has been further elucidated following licensure from surveillance and specific studies in large populations. This review aims to examine current evidence regarding the safety of HPV vaccines. In summary, both vaccines are associated with relatively high rates of injection site reactions, particularly pain, but this is usually of short duration and resolves spontaneously. Systemic reactions have generally been mild and self-limited. Post vaccination syncope has occurred, but can be avoided with appropriate care. Serious vaccine-attributable adverse events, such as anaphylaxis, are rare, and although not recommended for use in pregnancy, abnormal pregnancy outcomes following inadvertent administration do not appear to be associated with vaccination. HPV vaccines are used in a three-dose schedule predominantly in adolescent females: as such case reports linking vaccination with a range of new onset chronic conditions, including autoimmune diseases, have been made. However, well-conducted population-based studies show no association between HPV vaccine and a range of such conditions. Whilst this reassuring safety profile affirms the positive risk benefit of vaccination, as HPV vaccine use expands into more diverse populations, including males, ongoing safety assessment using well-conducted studies is appropriate. The authors wish to thank Dr. Rashmi Dixit, formerly of the National Centre for Immunisation Research and Surveillance (NCIRS), for assistance in reviewing some studies. We also thank other NCIRS staff for their assistance: Ms. Catherine King for literature searches and Mr. Edward Jacyna and Ms. Lyn Benfield for assistance with data collection and collation. Associate Professor Macartney, Dr. Clayton Chiu and Dr. Melina Georgousakis are employees of the Australian National Centre for Immunisation Research and Surveillance, which receives funding from the Australian Government Department of Health and Ageing and the New South Wales Department of Health. Dr. Brotherton is an employee of the Victorian Cytology Service (VCS), which receives funding from the Victorian Health Department and the Australian Government Department of Health and Ageing. Merck Pregnancy Registry Program, Clinical Risk Management and Safety Surveillance. Fifth annual report on exposure during pregnancy from the Merck Pregnancy Registry for Quadrivalent Human Papillomavirus vaccine (Types 6, 11, 16, 18) recombinant vaccine [GARDASIL®/SILGARDTM]. Coverage the period from first approval (June 1, 2006) through May 31, 2011. http://www.merckpregnacyregisteries.com (Accessed January, 2013). GalaxoSmithKline Pregnancy Registries. Cervarix™ Pregnancy Registry [online]. http://pregnancyregistry.gsk.com/cervarix.html (Accessed January, 2013). Medicines and Healthcare products Regulatory Agency (MHRA). YellowCard [online]. 2012. http://yellowcard.mhra.gov.uk/the-yellow-card-scheme/ (Accessed August, 2012). Centers for Disease Control and Prevention (CDC), the Food and Drug Administration (FDA), agencies of the U.S. Department of Health and Human Services. Vaccine Adverse Events Reporting System [online]. 2012. http://vaers.hhs.gov/index (Accessed August, 2012). Public Health Agency of Canada. Adverse events following immunization reporting form [online]. 2012. http://www.phac-aspc.gc.ca/im/aefi-essi-form-eng.php (Accessed 28th June). Australian Government Department of Health and Ageing TGA. 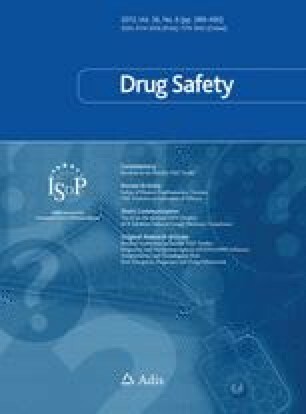 Human papillomavirus vaccine (Gardasil) advice from the therapeutic drug administration [online]. 2010. http://www.tga.gov.au/safety/alerts-medicine-gardasil-070624.htm (Accessed 27th June). NHS Choices. HPV vaccine in the clear [online]. 2009. http://www.nhs.uk/news/2009/09September/Pages/Cervical-cancer-vaccine-QA.aspx (Accessed August, 2012).